Sporting a unique design and colors that uses sports specific icons these Basketball Economy Sport Figures are just the thing for your next award ceremony. 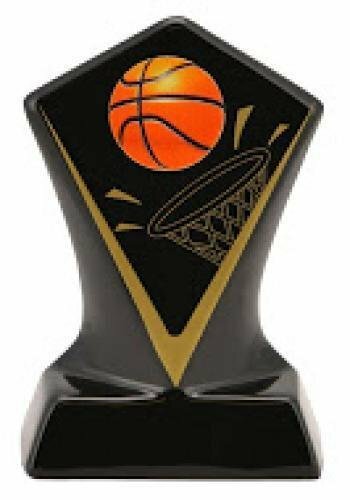 This Basketball award displays a full color basketball on its way into the basket in the center while a generous area is available for any of your personalization needs. These awards are available for other sports and come in 3 sizes - 5", 6" and 7". Sporting a unique design and colors that uses sports specific icons these Black Diamond Baseball awards are just the thing for your next award ceremony. This Baseball award displays a full color baseball, bat, and the outline of a baseball diamond in the center while a generous area is available for any of your personalization needs. These awards are available for other sports and come in 3 sizes - 4 3/4", 5 3/4", and 7". Sporting a unique design and colors that uses sports specific icons these Black Diamond Basketball awards are just the thing for your next award ceremony. 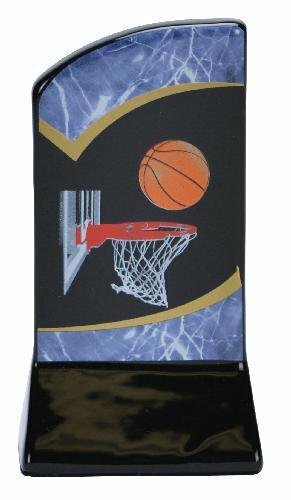 This Basketball award displays a full color basketball on its way into the basket in the center while a generous area is available for any of your personalization needs. These awards are available for other sports and come in 3 sizes - 4 3/4", 5 3/4", and 7". Sporting a unique design these Blank Diamond Blank awards can be custom made for any of your awards needs. The center provides a generous area for a team logo, year date, or just about anything you may want while the plate area at the bottom will meet your personalization needs. These awards are available for other sports and come in 3 sizes - 4 3/4", 5 3/4", and 7". Sporting a unique design and colors that uses sports specific icons these Black Diamond Cheer awards are just the thing for your next award ceremony. 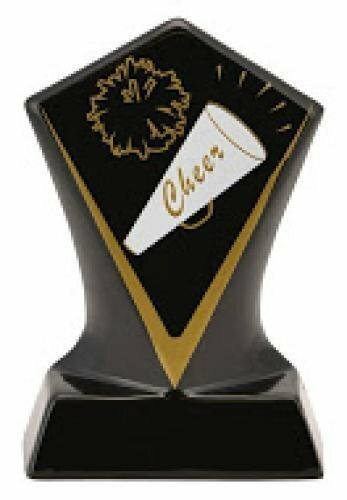 This Cheer award displays a megaphone and pom poms in the center while a generous area is available for any of your personalization needs. 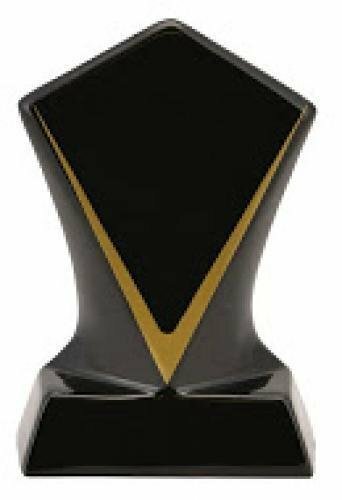 These awards are available for other sports and come in 3 sizes - 4 3/4", 5 3/4", and 7"
Sporting a unique design and colors that uses sports specific icons these Black Diamond Football Awards are just the thing for your next award ceremony. 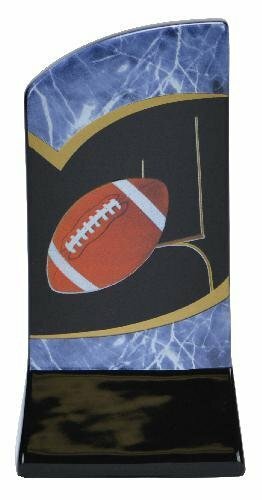 This Football award displays a full color football and a goal post in the center while a generous area is available for any of your personalization needs. 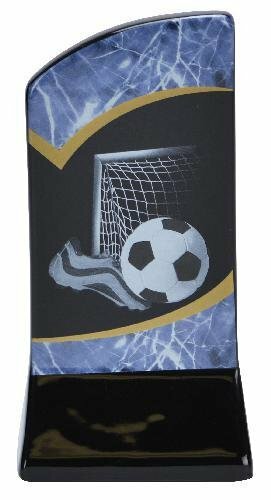 These awards are available for other sports and come in 3 sizes - 4 3/4", 5 3/4", and 7"
Sporting a unique design and colors that uses sports specific icons these Black Diamond Soccer awards are just the thing for your next award ceremony. 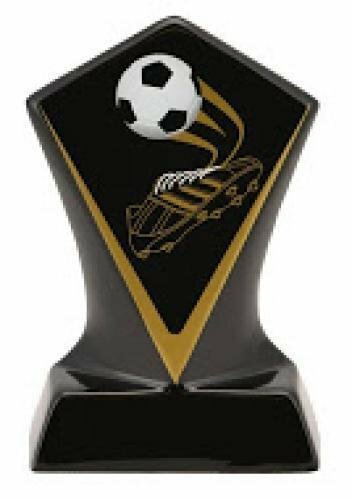 This Soccer award displays a soccer ball and cleats in the center while a generous area is available for any of your personalization needs. These awards are available for other sports and come in 3 sizes - 4 3/4". 5 3/4", and 7". Sporting a unique design and colors that uses sports specific icons these Black Diamond Softball awards are just the thing for your next award ceremony. 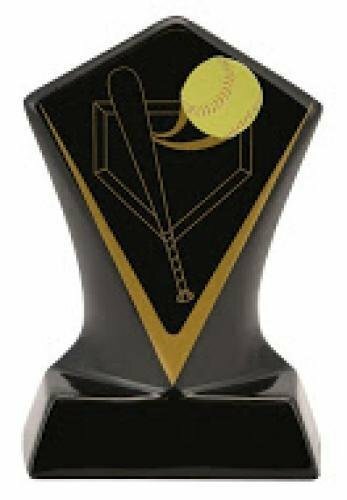 This Softball award displays a full color softball, bat, and the outline of a softball diamond in the center while a generous area is available for any of your personalization needs. These awards are available for other sports and come in 3 sizes - 4 3/4", 5 3/4", and 7". Sporting a unique design and colors that uses sports specific icons this Black Diamond Volleyball awards are just the thing for your next award ceremony. 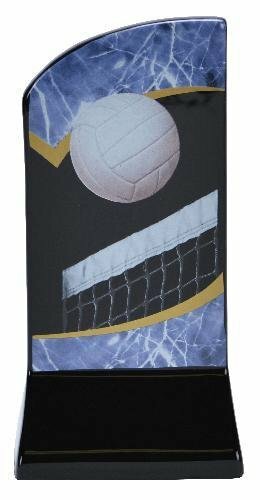 This Volleyball award displays a full color volleyball just passing over the net in the center while a generous area is available for any of your personalization needs. These awards are available for other sports and come in 3 sizes - 4 3/4", 5 3/4", and 7". Sporting a unique design and colors that uses sports specific icons these Football Economy Sport Figures are just the thing for your next award ceremony. 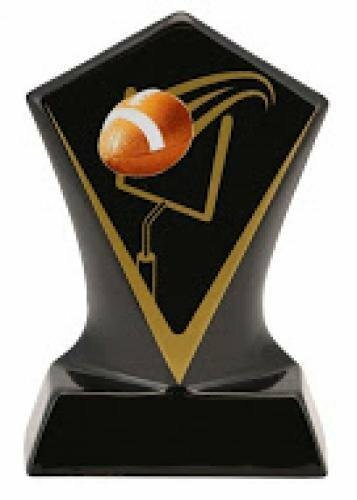 This Football award displays a full color football and a goal post in the center while a generous area is available for any of your personalization needs. These awards are available for other sports and come in 3 sizes - 5", 6" and 7". Sporting a unique design and colors that uses sports specific icons these Soccer Economy Sport Figures are just the thing for your next award ceremony. This Soccer award displays a soccer ball, cleats and a goal in the center while a generous area is available for any of your personalization needs. These awards are available for other sports and come in 3 sizes - 5", 6" and 7". Sporting a unique design and colors that uses sports specific icons these Softball Economy Sport Figures are just the thing for your next award ceremony. 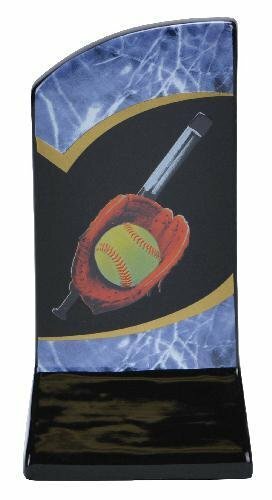 This Softball award displays a full color softball, mitt and bat in the center while a generous area is available for any of your personalization needs. These awards are available for other sports and come in 3 sizes - 5", 6" and 7". Sporting a unique design and colors that uses sports specific icons this Volleyball Economy Sport Figures are just the thing for your next award ceremony. 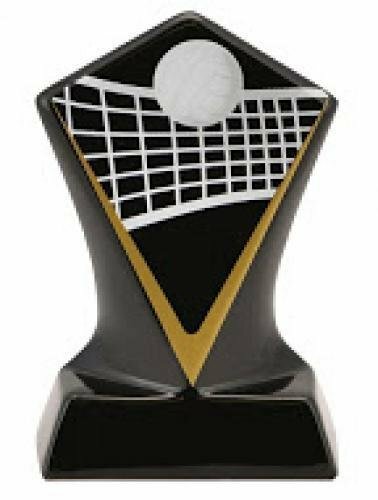 This Volleyball award displays a full color volleyball just passing over the net in the center while a generous area is available for any of your personalization needs. These awards are available for other sports and the Volleyball is only available in the 7" size. Sporting a unique design and colors that uses sports specific icons this Wrestling Economy Sport Figures are just the thing for your next award ceremony. 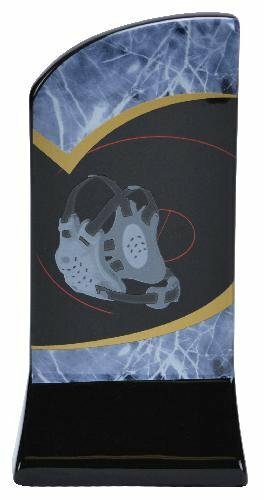 This Wrestling award displays a the wrestling head gear along with the mat layout in the center while a generous area is available for any of your personalization needs. These awards are available for other sports and Wrestling is only available in the 7" size.